The Maasai are internationally renowned for their unique traditions and rich culture. They stand for a centuries old way of life. One of the most powerful images of Africa. We have worked with the Maasai to help them recover ownership of the Maasai cultural brand, making corporations understand and the importance and power of respect. The Maasai remind the world what truly matters. Beyond material obsessions for material and social gain, there are values. Traditions. A way of life that transcends. Their authenticity is highly valued in modern society- especially attractive due to its rarity. As a result, luxury brands and other companies are appropriating these cultural characteristics, without permission or compensation and often in ways disrespectful to the Maasai culture. Meanwhile the Maasai are struggling with poverty and the devastating effects of climate change on their pastoral livelihoods; extended periods of drought leads to starvation among the two million Maasai people. Climate change is threatening their way of life. In 2009, a group of Maasai elders and leaders asked Ron Layton of our team for help to regain respect for their culture, and to help the Maasai take back control of the commercial use of their culture. Our team, with the NGO Light Years IP, supported the Maasai to build the Maasai IP Initiative (MIPI), a self-determined non-profit company that is representative of the two million Maasai across Tanzania and Kenya. MIPI has representation from all Maasai clans and sub-clans, and the board includes Maasai Mamas, making sure we are fighting against the feminiziation of poverty. MIPI is disrupting the power of corporations, taking power into the hands of the two million Maasai pastoralists. We are helping MIPI in creating a clear and professional process for commercial users to apply for licenses. 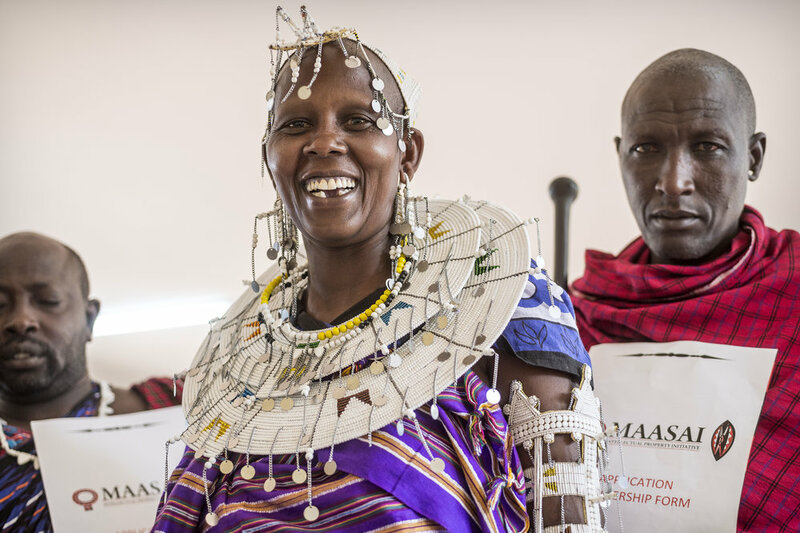 By gaining ownership of their cultural brand and through IP management, the Maasai are now in the process of generating sustainable income through licensing that is respectful to the Maasai culture. This is used for community projects to advance Maasai welfare, in particular for health, eduction and buying back rights to water and grazing land to sustain their culture. As the IP manager for the Maasai cultural brand, Position is recovering trademarks for the Maasai by approaching large luxury brands and automotive companies who are using the Maasai brand without compensating the indigenous people. We already have had successful negotiations with Jaguar Land Rover that resulted in the transfer to the Maasai people of trademarks previously owned by the corporation. JLR had used the Maasai name and images to promote the Freelander in 2003. Koy Clothing create Maasai inspired clothing and integral to their mission is acknowledgement of the rights and value of the Maasai cultural brand. Through a licensing deal with Position and MIPI, Koy has been authorised a licence for use of the Maasai name on the terms that 5% of sales is paid to the Maasai people. This is an exciting step towards a larger commercial process of recognition that the Maasai own their brand and are entitled to royalties. Koy is also in discussion with other tribes of Kenya including the Lou, Kamba and Gusii to implement a similar framework, following the Maasai example. Isaac graduated to become a warrior at the age of 16, by fighting a lion that was attacking Maasai herds. He is a father of two boys and owns a small number of cows and goats, which provide a modest income. We are calling for all existing users of the Maasai brand to recognise the importance of respect to the Maasai people. Please fill in the form below and one of our team will be in touch to guide you on how to get a license.